Trying to find something that bit more unusual to pass on as a little gift to your wedding guests is becoming that bit harder. 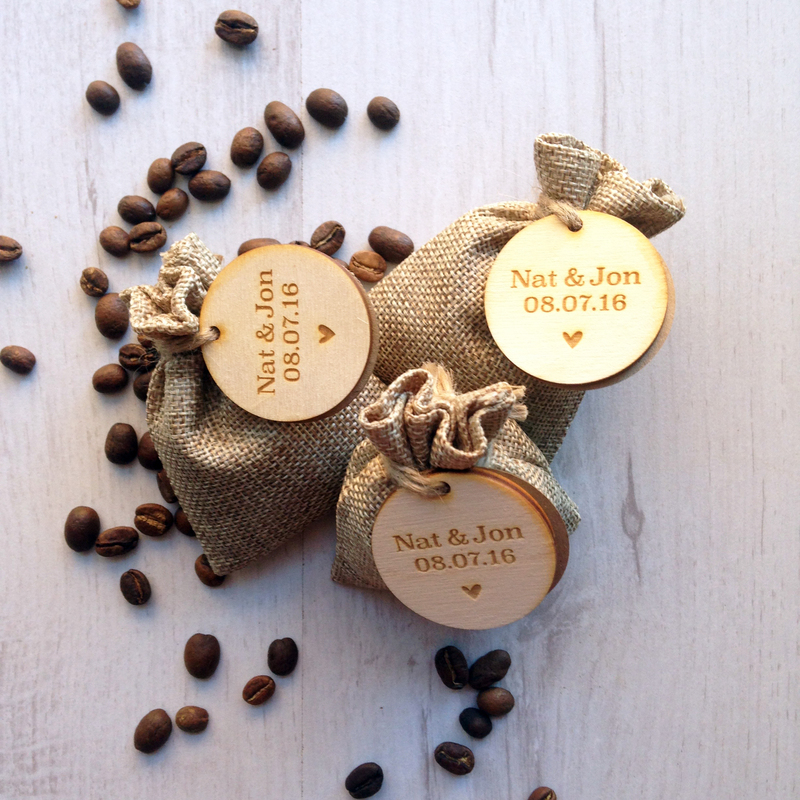 But now we have created these little bags of happiness filled with fresh coffee, to keep your friends and family going even after the wedding has finished, in the form of our coffee wedding favours! Packed in mini hessian sacks, each favour contains 20g of fresh cafetiere grind coffee, enough for one cup of coffee. 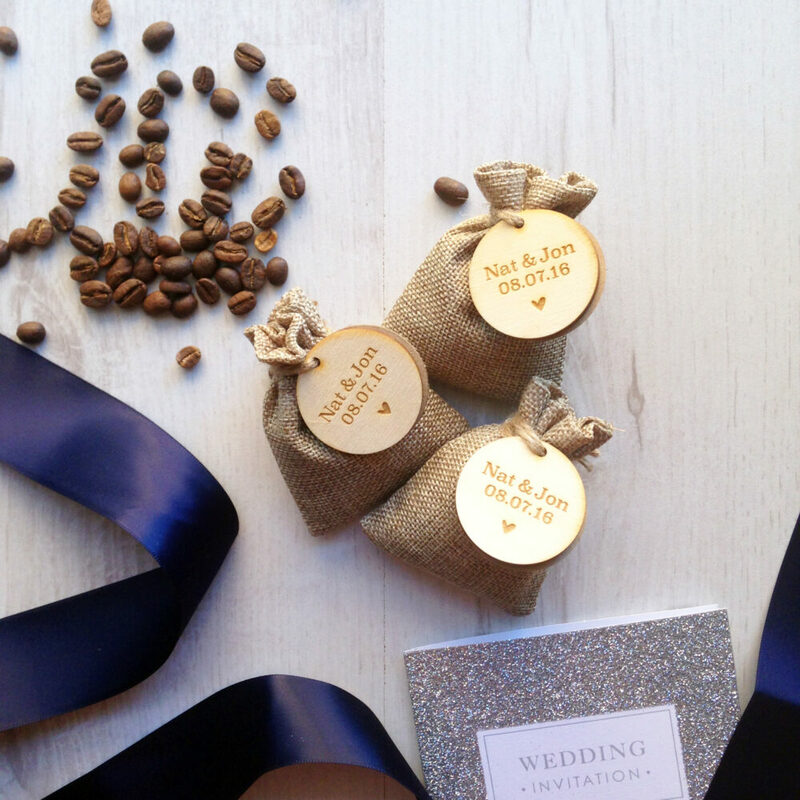 Produced in Brazil, this chocolate and nutty flavoured coffee is artisan roasted in the UK and ground at the last possible moment before your big day, to ensure it is as fresh as can be. 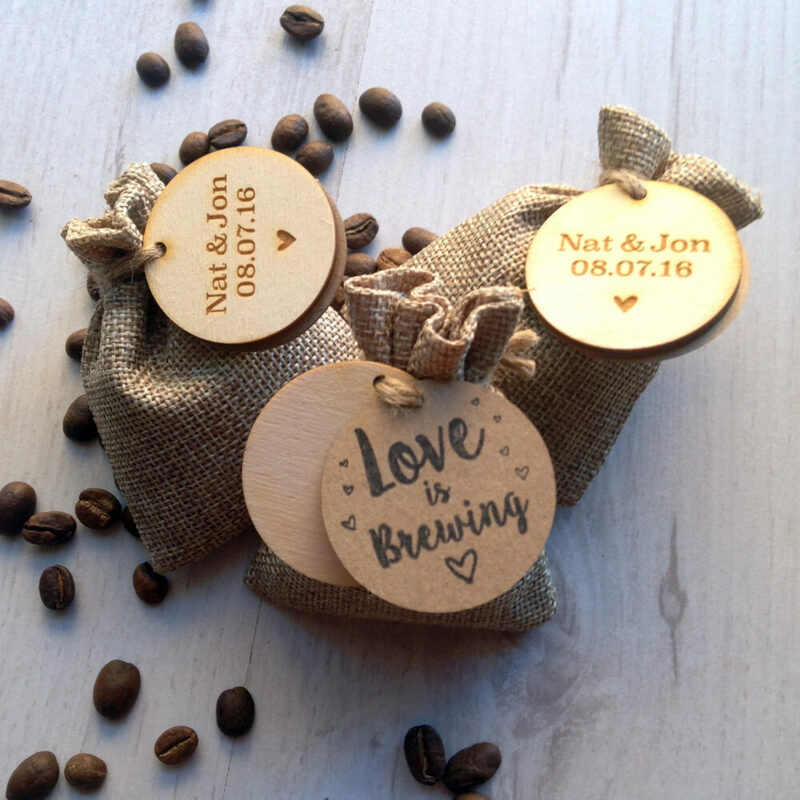 As standard, all of our favours come with our hand stamped kraft tag; on one side declaring ‘Love Is Brewing’ and then on the other side telling your guests a little more about the coffee inside. 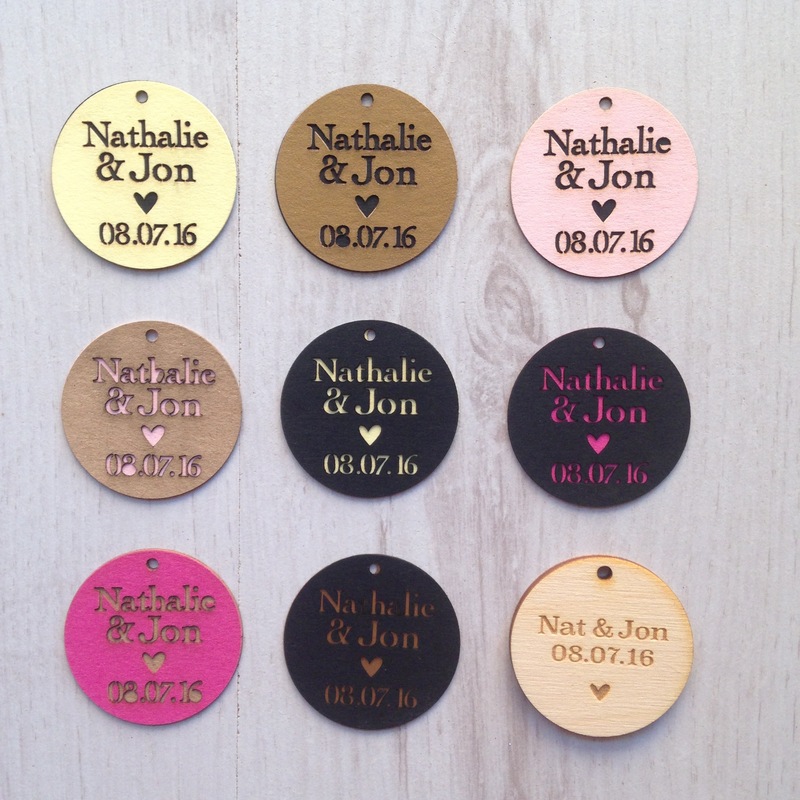 We can personalise your favours with a tag with your names and the date of your wedding lasered on a variety of colour card or wood tags. All of coffee is roasted to order, so please allow up to 5 days for us to complete your order. *Would you like to personalise your favours?